Judi M. gaiashkibos has served as the Executive Director of the Nebraska Commission on Indian Affairs since 1995. She is an enrolled member of the Ponca Tribe of Nebraska. Judi earned a Bachelor of Arts degree in Human Relations in 2000 from Doane College, and in 2007, she earned her Master’s in Management with a Leadership Emphasis from Doane College. 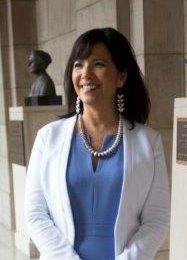 In 2006, Judi was elected as the President of the Governor’s Interstate Indian Council (GIIC), a national organization with the mission of improving and promoting cooperation between state and tribal governments. She serves on several state advisory boards including the Nebraska Minority Justice Committee, the P-16 Leadership Council, and the Nebraska Partners in Prevention Coalition. She was also appointed to the University of Nebraska’s Presidents Advisory Council in 2008. Judi was the recipient of the Douglas County Historical Society 2009 Door Keeper Award in recognition of opening new doorways in the spirit of Unity, Equality and Understanding. In 2009, she was a lecturer and advisor for the first Native Daughters project at the University of Nebraska-Lincoln College of Journalism and Mass Communications. She is also currently an adjunct professor for the second Native Daughters project focusing on Indian women of Oklahoma also through UNL. She is a member of the Racial Profiling Advisory Committee and of the U.S. Census Advisory Board as well. Judi is a Board Member of Interchurch Ministries/Grants to American Indians in Nebraska (GAIN), the Nebraska Rural Development Commission, and recently completed a 3-year term on United Way. She was the 2012 recipient of the prestigious Nebraska Humanities Sower Award and was appointed to the Doane Board of Trustees in 2012 as well. She is a member of the Sheldon Museum of Art’s Advisory Council. She received the distinguished Nebraskalander award at the 2017 Statehood Dinner. She is also actively involved in non-profit service. Scott Shafer began working for the commission in October 2008. He previously worked for the Nebraska Department of Corrections and The American Legion Department of Nebraska. Scott’s background is in public relations and marketing. He is a graduate of Seward County’s Leadership Development Program and was a recipient of the Lincoln YWCA’s Mentor award in 2012. He developed NCIA’s Sovereign Native Youth Leadership Program and assists in grant and program development for the Commission. He plans and coordinates the agency’s annual Chief Standing Bear Breakfast and also serves on the Chief Standing Bear National Historic Trail and Centennial Mall statue project planning groups. In addition to the Chief Standing Bear events, he also coordinated a State Historical marker project with Seward County residents to place a historic trail marker at Interstate 80 rest area near Milford, Nebraska. Scott also played a key role in the restoration and return of the Ponca tribe’s gray corn. 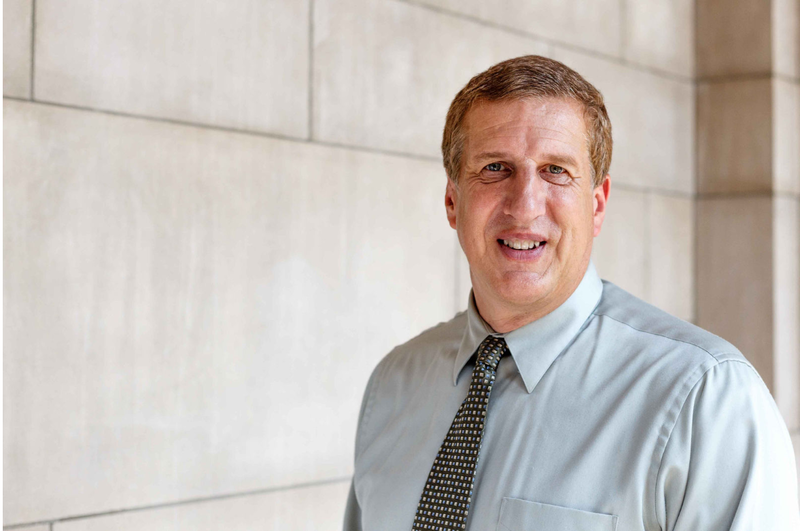 In addition to the Standing Bear events, he also serves on the state’s Martin Luther King and Hispanic Heritage event committees as well serving on the State Set Aside Board for the United Way Emergency Food and Shelter Program. 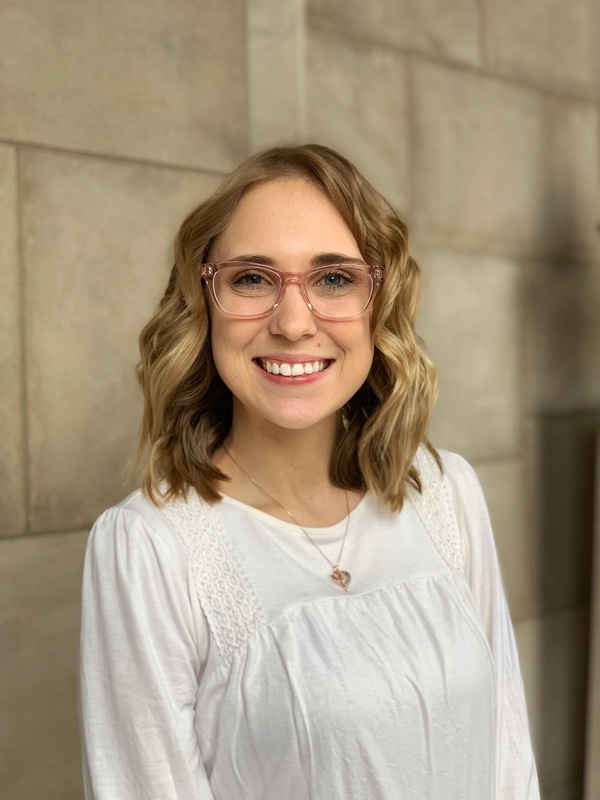 Jess has been with us since January of 2019, and is a graduate of Northwest Missouri State University with a Bachelor’s of Science in Political Science with a minor in Criminal Justice.